Support Buy From a Black Woman Awareness Day on November 19th | BlackNews.com The month of November spotlights and supports the efforts of Black women entrepreneurs worldwide, culminating in a Black Friday Online Marketplace. Atlanta, GA — Buy From A Black Woman, Inc. (BFABW) has announced November 2018 as Buy From A Black Woman Awareness Month, celebrating and supporting black women business owners as a thriving, driving economic and social force. BFABW launched Awareness Month with an Instagram Live broadcast and the release of a calendar of daily tips, reflections and action items for black women entrepreneurs and those who support them, inviting the public to join along on social media using the #BuyFromABlackWoman hashtag. November 19th has been earmarked as Buy From A Black Woman Awareness Day, featuring a blitz of online and real time activities to spotlight, motivate and empower black women who have taken the leap to build their own business ventures. Awareness Month will continue to center black women-owned ventures from Black Friday through Giving Tuesday with the Buy From A Black Woman Online Marketplace, in which 75 black women-owned businesses will “take over” the BFABW website and social media, kicking the holiday shopping season off and serving as a hub and extension of the already-popular BFABW Business Directory. Giving Tuesday will spotlight nonprofit organizations founded by black women and serve as an opportunity to explore the role of “everyday philanthropy” as a necessary and sustaining practice within the community. Or follow the initiative on social media on Instagram and Facebook. Since 2016, Buy from a Black Woman has empowered, educated and inspired black women business owners and the people who support them. 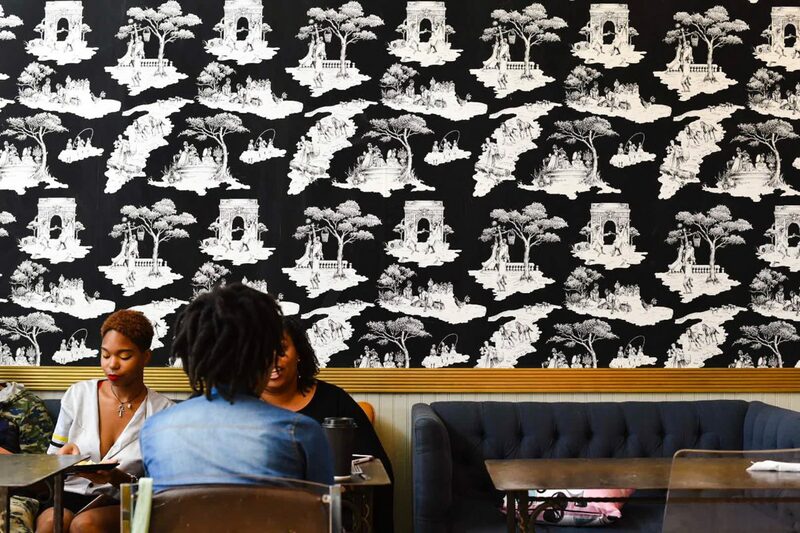 Though black women are the fastest growing group of business owners in the United States, the demographic still lacks some of the fundamental support structures necessary for developing long-term, sustainable businesses and entrepreneurship ventures. A registered tax-exempt nonprofit 501(c)(3) organization, BFABW ensures that black women have the tools and resources that will allow them to be successful. Through educational programs, peer to peer mentoring, business listing and providing funding opportunities. BFABW continues to grow as a trusted resource that helps empower, educate and inspire black women in business.